The prototype artificial disc that may one day be used to treat chronic back pain. Your backbone has small cartilage (that’s kind of soft bone that is also present in your external ears) discs that absorb shock while you run, jump, or do other loads of stuff. 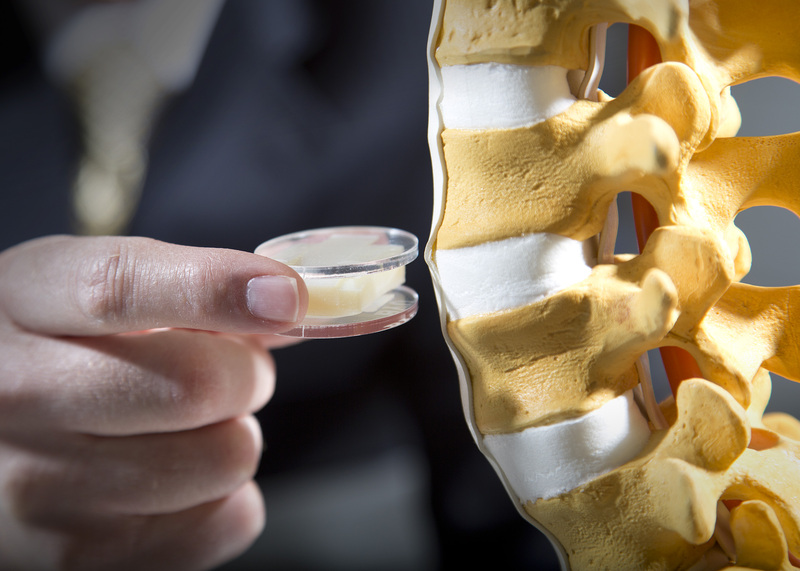 These discs, sandwiched between the vertebrae may erode or get damaged, and cause severe, long-term pain. Engineering professors at Brigham Young University, Anton Bowden, Larry Howell, and former student Peter Halverson have developed a new, elastic, and durable artificial disc that can withstand extreme pressures. This disc can be used for the treatment of chronic back pain and has been licensed to Crocker Spinal Technologies, a company based in Utah, USA. Robotic finger-like unit that can recognize the texture of surfaces. The sense of touch just entered its new phase! Scientists at the University of California’s Viterbi School of Engineering have developed a robotic finger that can recognize a material from its feel. 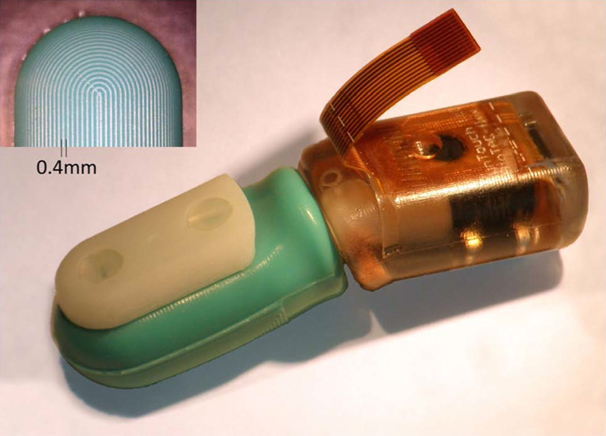 The mechanical unit, termed as “Bio Tac sensor” has liquid filled in soft-flexible skin (which also has finger-print like patterns embossed on it, to make it more – errr – eerie, I guess :P, but sensitive would be the correct word). When it is allowed to slide over a surface, it vibrates in a characteristic way, depending on the nature and texture of material. These vibrations are sensed by a microphone and recognized. Voyager spacecraft from the lens of an artist. Voyager 1 spacecraft launched by NASA in 1977 has been on its way to exit the sun’s magnetic field for 35 years… Now, it looks like it may be on the verge of entering interstellar space, where no man made object has ever been before. The real news is: the mysteries of the universe are about to be unravelled – you can start hoping for that! 1 Dr. Atta-ur-Rahman, “Sci-Tech: The Wondrous World of Science”, Dawn News, Sunday, July 15, 2012.